Mike Daniels has worldwide responsibility for IBM Services, which includes outsourcing, consulting and systems integration, application management, integrated technology services, maintenance and technical services, and global delivery. These businesses account for more than half of IBM revenue. Previously, Mike was general manager of IBM’s Sales and Distribution operations in the United States, Canada, and Latin America. Before that, he led Global Services in the Asia Pacific region. Since joining IBM in 1976, he has held a number of leadership positions in sales, marketing, and services, and was general manager of several services businesses, including Product Support Services, Availability Services, and Systems Solutions. 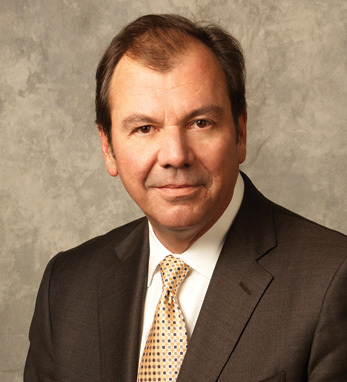 He sits on the Board of Directors for Tyco International and serves as IBM’s Senior State Executive for Connecticut. Mike is a graduate of The College of the Holy Cross with a degree in political science, and serves as a trustee at Holy Cross. Mike traces his Irish roots to his father’s ancestors, the Hogans, who emigrated from Co. Clare. He and his wife, Patty, have three children.